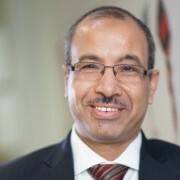 Yacoub qualified in Egypt 1984 (Assiut University) with Honours and completed his MD in Birmingham (UK) in 1994. Following research posts in Birmingham and London, he became a Lecturer in the Department of Obstetrics and Gynaecology in 1996, Subspecialty Fellow in Reproductive Medicine and Surgery in 1998 and was appointed Consultant in Gynaecology and Reproductive Medicine in 2001 at Guy’s and St Thomas’ Hospital NHS Foundation Trust (GSTT). PI for HTA funded RCT and CI for a national RCT.